It means that you should not waste time, because you could be using it to earn money. But in this case, the meaning is literal. Long lines are always a hassle but it is also always nice to be good citizens and follow procedures and go in line properly. However, at a registration desk of a hospital in Yekaterinburg, Russia, one lady was being rude to the others in line when she blatantly cuts in the front of the line. So what did the guy, who was wearing a gray hoodie, behind her do? The security camera footage below showed how this guy retaliated to the girl who cut in line. Seeing her bag open, he casually pulls out her purse and grabs about one thousand rubles (approximately 700Php) before returning it to her bag. Another guy who witnessed it and is probably his friend just laughed at what his friend did. 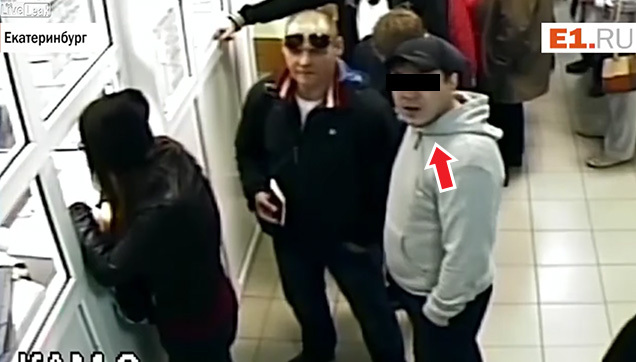 And after they both spotted the security camera, the guy in the black jacket offers him a cigarette and the guy in the black hoodie accepts and presumably goes out the hospital. Do you think what he did was justifiable? What would you do if someone cuts in line?